This week, we've been looking at the scale of the childhood obesity problem in the North East, its causes, consequences - and the potential solutions. A growing number of children struggling with their weight attend fitness classes like this one in Stanley, County Durham. The Andersons in Blyth are trying to set a positive example for their children. 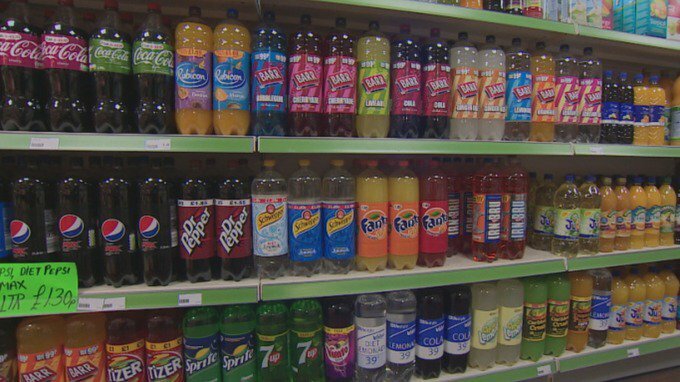 We've been asking for your views on the sugar tax, and suggestions for how to tackle childhood obesity in the North East. The government is due to announce a full strategy on the problem later in the year. Jo King got in touch via Facebook: "I'm an adult coping with obesity. A tax on all sugared items would make you think more before paying the extra - just my own opinion based on my struggles losing weight." Luke Frost reached 27 stone and now has gout arthritis after getting addicted to fizzy drinks. Luke Frost, whose story we told on Monday, says: "I support the sugar tax - it is the first step to create a healthier Britain. I would love to see healthier foods made available to all sections of society. Poverty draws families to the cheaper option of ready meals and takeouts due to the cost of our healthier alternatives being so high. You can get a 7" pizza with chips and kebab meat in Thornaby for £3 - that can feed two children on a small budget. Also, I think education has a part to play. Designing meals on a budget can be achieved with better education." @itvtynetees no, why should everyone pay a tax for the minority not getting off their backside and keeping healthy? @itvtynetees It's a lack of activity mainly. We drank all those drinks as kids but ran around & played out all the time burning it all off. This week, ITV News has been looking at childhood obesity around the UK.